In the early days of my career, critics often challenged the need for designers, assuming we added little or no value to the production process. I'd often hear things like, “Prove to me that the money I spend on design will result in more profits.” Today, that mindset sounds absurd. Consumers are more sophisticated than ever, and they demand innovative product design as much as performance and affordability. As a result, we designers have to be extra inventive to create great product experiences while staying within the price range that market research dictates. Because cost is so important to long-term success, it usually takes precedence over everything else — even quality. This happens more often than you might think and for many different reasons. For example, if the target price is fixed before the design process begins, creating a new product with the desired features within that range can become difficult. In some cases, designers must reduce costs before the product can even be manufactured. And material is usually the first thing designers compromise on. Using a much lower-grade material allows companies to stretch the budget further and recoup manufacturing costs faster in initial sales. But the immediate savings of a lower-quality product can cost your brand much more than you bargained for. If you're looking for long-term success with your products, invest in high-quality materials and find trusted suppliers. Quality is subjective — and it largely depends on the market and users' expectations. A disposable product that's only supposed to last a day or two, for example, doesn’t have to meet the same expectations as a product with a lifetime guarantee. It may sound counterintuitive, but it’s possible for the quality of a material to be too high for the value it provides. And a low price tag won't always compensate for a poor product experience. All that's to say, good quality is a key differentiator, and sometimes, consumers value it more than they do cost. Poor-quality products will never get a new brand off the ground, and they’ll almost certainly sink one that's already built up its credibility. It takes the same amount of time and effort to market a poor product as it does a good one, but the return certainly won't match up. If your design can’t support the cost of a high-quality material because it doesn’t promise much value to begin with, the question becomes: Are you building the right product? When PopFoam teamed up with the One World Play Project, a nonprofit organization that brings the joy of play to refugee children, the goal was never to reduce costs. The only challenge was creating a ball that could survive the roughest conditions on the planet. We partnered with inventor Tim Jahnigen to address the many issues that made traditional soccer balls unsuitable for such conditions — and why cheaper foams couldn't stack up, either. Instead, Tim wanted to use EVA foam to create a ball that could withstand rough terrain. Through extensive testing and collaboration, PopFoam helped create a futbol that features an innovative, durable cap design; natural venting capabilities; and a parting line that hides among the ball's hexagonal pattern. Today, over 1 million balls have reached more than 45 million children across the globe. 1. Durability: Most types of foam don’t have a strong enough memory to fully bounce back when crushed. In the case of the One World Futbol, that meant it would not spring back with enough resistance to kick down the field. By contrast, PopFoam's injection molded EVA-based foam can be compressed to provide any level of durability that a product demands, whether it's a soccer ball, a spa pillow, or a child’s high chair. Maintaining its memory while offering just the right amount of impact protection is an indication of quality that customers will appreciate. 2. High-quality finish: Most foam requires a secondary wrap to achieve the same level of durability as PopFoam, but doing so compromises the finish and overall aesthetic. As a designer, surface finish is one of my most important considerations. I personally believe that a poor material finish ruins a product — and I don't think I'm alone in this feeling. To prevent this, PopFoam adjusts the blend of compounds to match each designer's specifications. That means it can be molded into a wide variety of textures, colors, and graphic treatments with a stellar surface right out of the mold. It doesn’t need a wrap, which reduces costs and improves any product’s lifelong quality. 3. Design flexibility: Complex details, such as undercuts and geometric shapes, can be difficult to achieve without manufacturing additional components. But because PopFoam can be molded into virtually any complex shape, it can offer the flexibility designers need to achieve both. Even large undercuts, which are often challenging to achieve, can be accomplished without the extra cost that plastic or other materials would require. The closed-cell, cross-linked, and waterproof designs made possible with PopFoam cost more than lower-quality materials — at first. 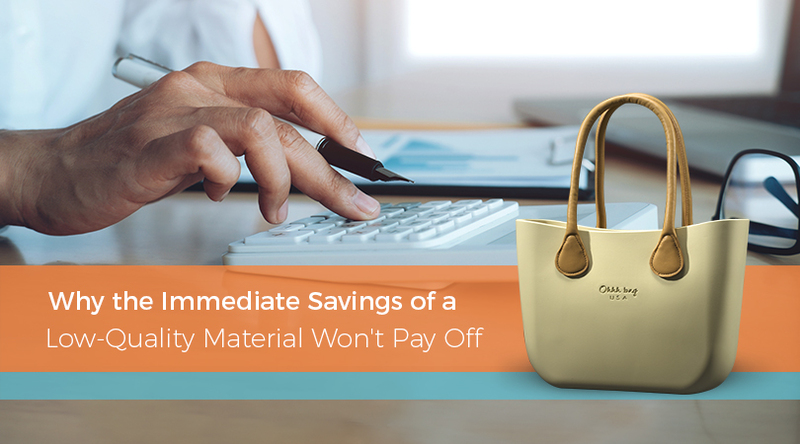 However, the freedom it gives designers to create higher-quality products while remaining within targeted price ranges makes it far more valuable than the costs you might save with low-grade materials.